Check out these things you need to know about the National Cherry Blossom Festival and DC's famous cherry blossom trees. The cherry blossom trees are without a doubt the stars of springtime in Washington, DC. 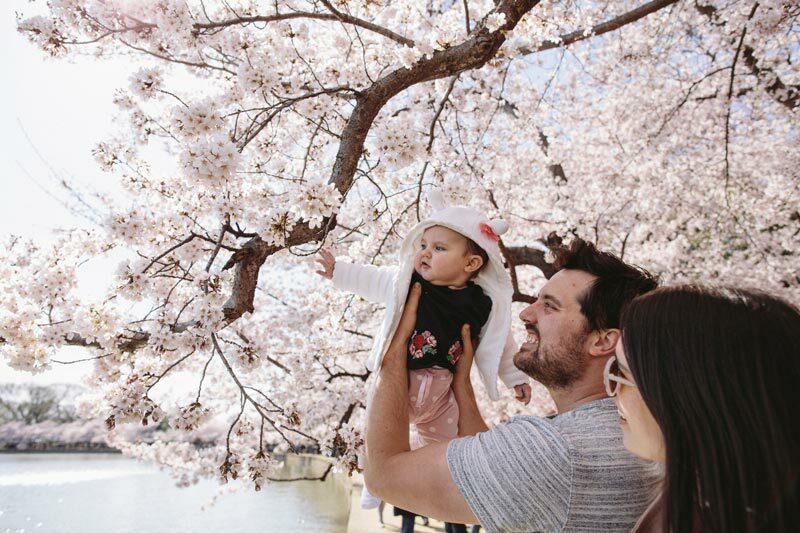 Visit the District during this time and you’ll find the nation’s capital is accented in pink for the National Cherry Blossom Festival, which takes place from March 20 – April 14, 2019. Here are five things you need to know before planning your trip to see the cherry blossoms. 1 When do the cherry blossoms bloom? This popular question has a different answer year-to-year. The average peak bloom date, which is when 70% of the flowers of the cherry blossom trees are open, is around April 4. In the past, peak bloom has occurred as early as March 15 and as late as April 18. The entire blooming period can last up to 14 days, which includes the days leading up to peak bloom. The National Park Service (NPS) offers the official peak bloom prediction on its website, which indicates that “it is nearly impossible to give an accurate forecast much more than 10 days before the peak bloom.” The best viewing of the cherry blossom trees typically lasts four to seven days after peak bloom begins, but the blossoms can last for up to two weeks under ideal conditions. 2 Where can you see the cherry blossom trees? 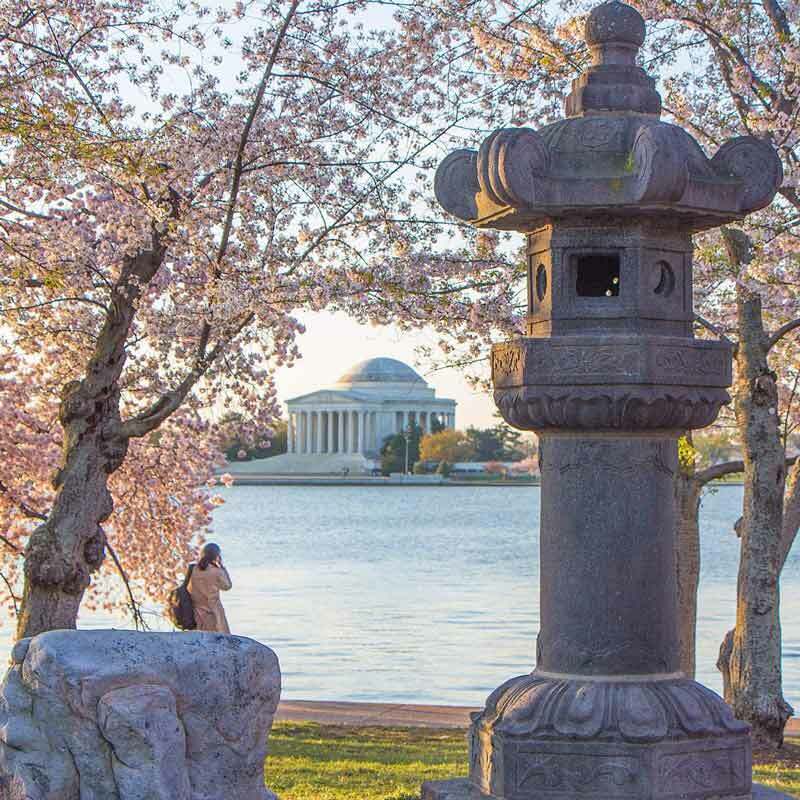 During the National Cherry Blossom Festival, the most popular place to visit the cherry blossom trees is at the Tidal Basin, which provides great photo ops near the Jefferson Memorial, Franklin Delano Roosevelt Memorial and the Martin Luther King, Jr. Memorial. The majority of blossoms are located near the Tidal Basin and along the shoreline of East Potomac Park, extending all the way to Hains Point. Meanwhile, small clusters of trees can be found along the National Mall, just northwest of the Lincoln Memorial and around the Washington Monument. 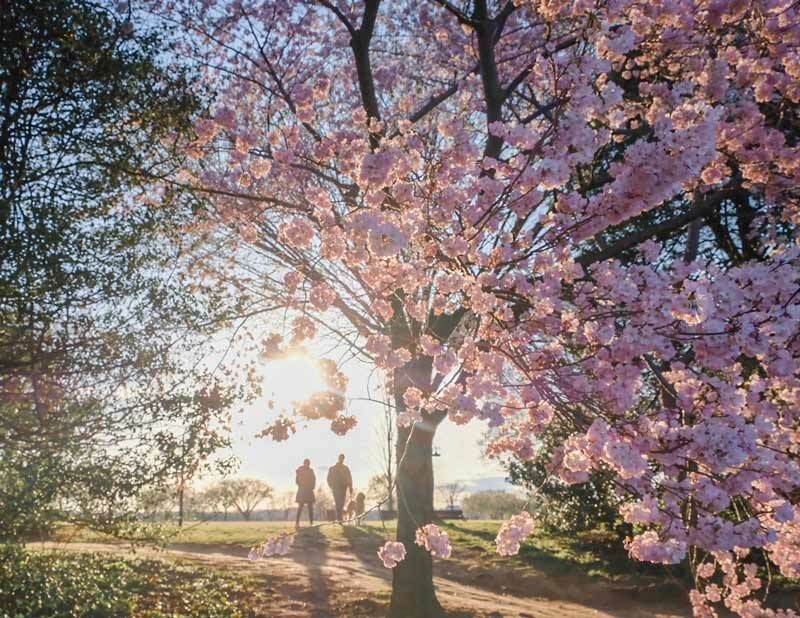 Off-the-radar cherry blossom trees can be found at the National Arboretum, Anacostia Park, Dumbarton Oaks in Georgetown, Stanton Park and Oxon Run Park. Here's how to find the best Metro lines, bus routes and bicycle pathways for reaching DC's cherry blossom spots. 3 What time of day should you visit the cherry blossoms? First off, there is no bad time to visit the cherry blossoms. Any time you get to see them is time well spent. During the National Cherry Blossom Festival, the least busy time to visit the cherry blossoms is in the early morning or evening. You can expect more people on weekends and when the blooms are peaking. Last but not least, do your part in helping to protect the National Mall and the cherry blossoms. We kindly remind you to look at the blossoms, but never pick them (it’s against the law). 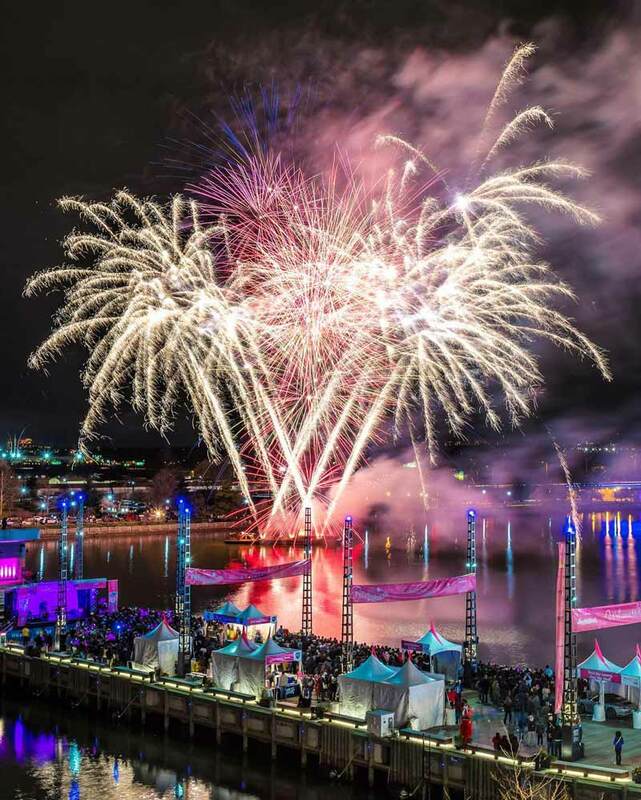 4 What National Cherry Blossom Festival events are going on? And be sure to check out our guide to even more can't-miss events during the festival. 5 How else can I experience the National Cherry Blossom Festival in DC? The National Cherry Blossom Festival sweeps the entire city. 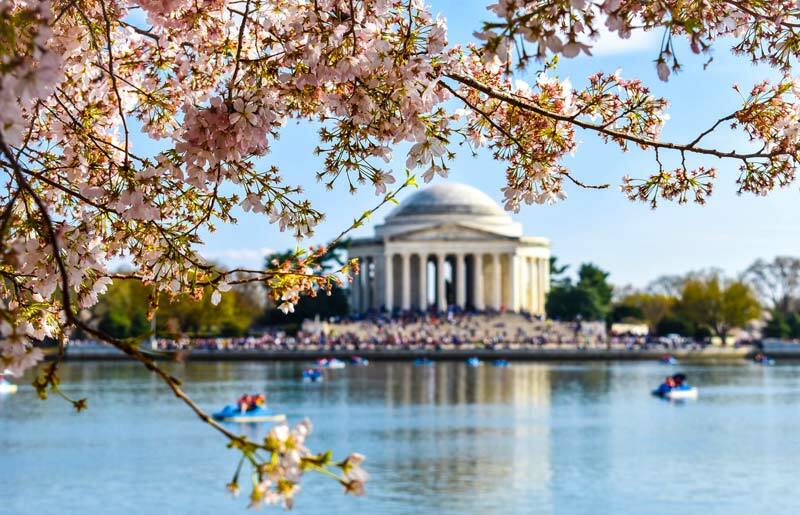 These National Cherry Blossom Festival hotel packages, deals, discounts will help you and your family plan the best vacation ever. Many DC-area hotels get in on the action and offer special cherry blossom-themed deals and discounts, which may include a free bloom-inspired cocktail, chocolates, meals or more. Spring blossoms off the National Mall too, in the form of cherry blossom-inspired flavors at some of DC’s hottest restaurants and bars, cafes and more. So, now that you have the basics down, you’re ready to go. Enjoy this year’s festival! And be sure to check out our guide to spring before you visit the nation's capital.